C aptain Weekly began his career with D.C.S.O. in 1993 where his first assignment was to work a long term undercover operation in a local high school. During his career he has served as a Training Officer, K9 Handler, SWAT Operator and a Persons Crimes Detective. As a detective he was able to secure several major criminal convictions as the lead detective to include homicide cases. Captain Weekly has also served as a coordinator for the 18th Judicial District Critical Response Team. Captain Weekly has served in several divisions in management positions as a corporal, sergeant and lieutenant. In 2010 he was promoted by Sheriff Weaver to captain and assigned to the Professional Standards Division which encompasses Internal Affairs, Hiring, C.A.L.E.A., A.C.A. and training. He was instrumental in the DCSO receiving its initial C.A.L.E.A. accreditation as well as the coveted “Triple Crown Award” through the National Sheriffs’ Association. Captain Weekly is also a graduate of the Leadership Douglas County program. In 2012, Captain Weekly graduated from the Northwestern University School of Police Staff and Command. In 2013, he was designated by the Douglas County Office of Emergency Management as an incident commander of the Incident Management Team. He also graduated from the F.E.M.A. All-Hazards Type 3 Incident Commander School. 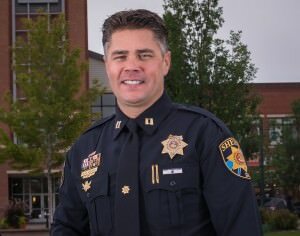 In 2013 Captain Weekly was assigned to lead the Patrol Division in 2013, commanding special teams and various units to include serving as the commander of Douglas County Regional S.W.A.T. Team. He has attended various S.W.A.T. tactical and leadership courses including the National Tactical Officers Association Command and Leadership course in 2013, and in 2014 he attended the Fulcrum Concepts Tactical Commanders course. In 2018 Sheriff Spurlock assigned Captain Weekly to serve as the Investigations Division Commander which includes Major Crimes, Special Investigations, Victim Assistance and the Crime Lab. Captain Weekly also proudly serves on the board of directors for the Crisis Center (formerly Women’s Crisis Center).